If the church was ever too confrontational in its evangelism, those days are gone. In our shrinking, pluralistic world, the belief that Jesus is the only way of salvation is increasingly called arrogant and even hateful. 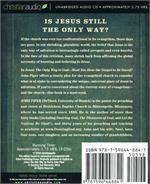 In the face of this criticism, many shrink back from affirming the global necessity of knowing and believing in Jesus. 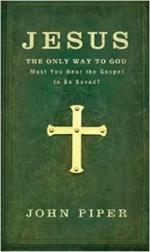 In Jesus: The Only Way to God-Must You Hear the Gospel to Be Saved? John Piper offers a timely plea for the evangelical church to consider what is at stake in surrendering the unique, universal place of Jesus in salvation. 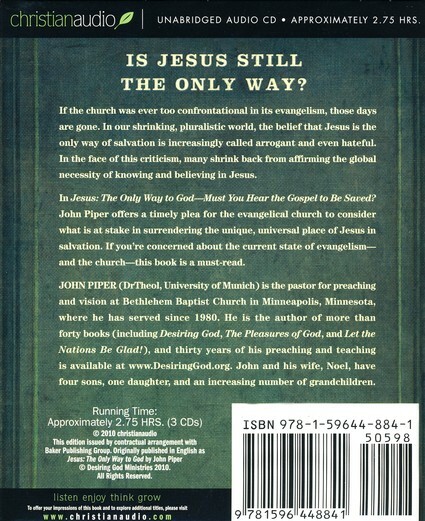 If you're concerned about the current state of evangelism-and the church-this book is a must-read. Unabridged audio CD; approximately 2.75 hours; 3 CDs.